A beautiful piece of work every year, simply to benefit an EAA program. Kudos to Ford. Our Mustang concepts, prototypes, and showcars Pinterest Board includes over 60 Pins of the Eagle Squadron Mustang GT, and a total of 219 Pins of showcars and concepts of the past. It’s just one Board of 135 in our DrivingEnthusiast Pinterest Board site of over 21,000 Pins. Enjoy! 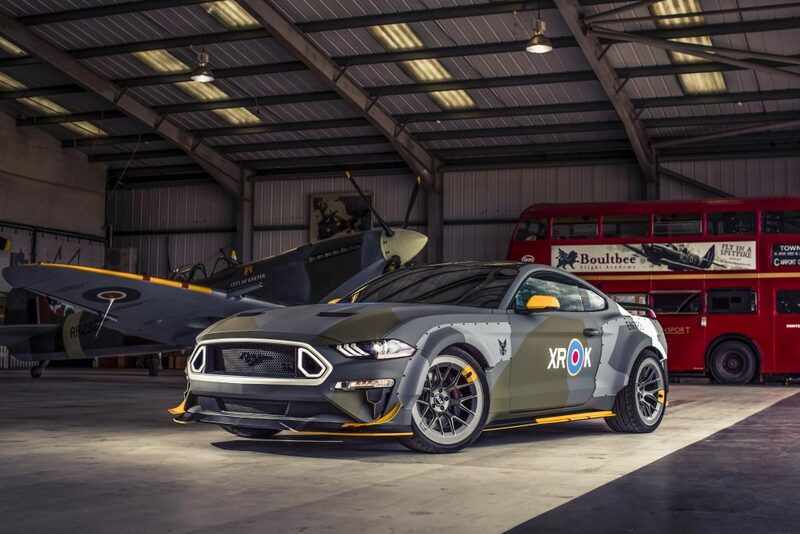 Co-created by Ford Performance and Gittin’s RTR Vehicles, the camouflaged, fighter aircraft-inspired Mustang GT fastback debuts at Goodwood before heading back to the U.S. for the Experimental Aircraft Association’s largest fundraiser, The Gathering, held on July 26 during the EAA AirVenture Oshkosh fly-in in Oshkosh, Wisconsin. The event draws more than 1,000 aviation enthusiasts annually. The Eagle Squadron Mustang GT will be auctioned off at The Gathering to support the EAA’s youth education programs. 2018 marks the 20th year Ford has supported The Gathering during EAA AirVenture. All proceeds will be donated to EAA’s youth education programs to encourage and support the next generation of pilots. In all, Ford has donated 11 custom-designed vehicles and helped raise more than $3 million. To learn more about the EAA, its youth programs and The Gathering (including bidding on the Eagle Squadron Mustang GT), call 920.426.6573 or email gathering@EAA.org.